Model Home Not For Sale. This Model is included in the Spring Parade of Homes, Saturdays & Sundays 12-6pm starting April 13-April 28. Beautiful 3 bed open ranch plan by Pine Crest Homes, features abundant light with 22 windows, a 7 x 10 walk in hidden pantry and an 8' quartz island and huge kitchen, which is great for entertaining. Large secondary bedrooms, full main bath features a double vanity. Private master bedroom away from other bedrooms creates a awesome retreat. The oversized master closet has easy access to the laundry room with a pocket door. Visit are models at 18512 Merion Drive, 20009 Polk & 18961 Manderson. 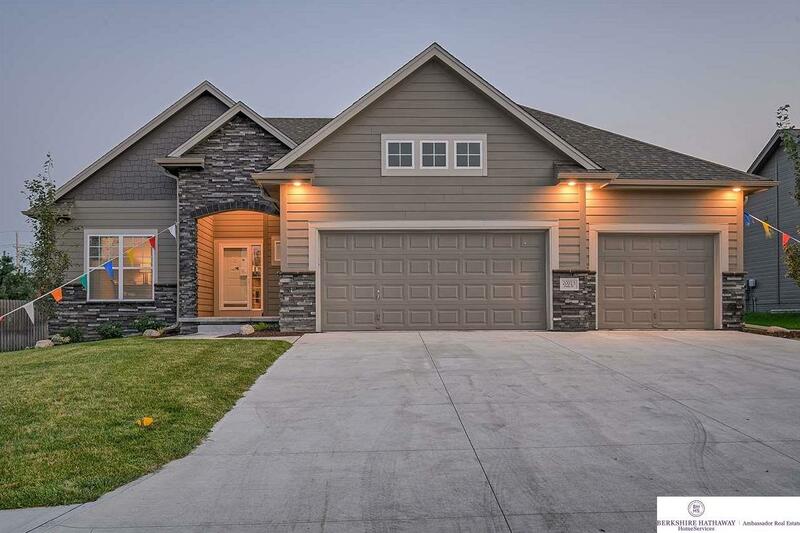 20015 Polk Street (MLS #21901539) is a ranch/1.0 story new home located in Omaha, NE. This new home is 3,422 sqft with 4 bedrooms and 3 baths. This property was listed on 01/30/2019 and has been priced for sale at $387,085. Nearby zip codes are 68022, 68028, 68135 3731, 68136 and 68138. This property neighbors other cities such as Bennington, Elkhorn and Gretna. Listing Last updated 04/08/2019 11:45 AM CDT . Some properties which appear for sale on this web site may subsequently have sold or may no longer be available. Walk Score provided by Walk Score. Mapping data provided by Google and Bing.